Welcome To Tally Data Recovery !!! Data Corruption is very rare in Tally, due to its excellent implementation of Binary-Tree Data Structure. Majority of Data Corruption or prob-lems occur only due to Hard Disk fault like Bad Sector, Improper Shutdown or Virus problems. 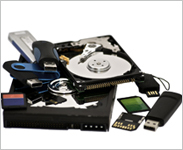 Data Recovery Mumbai Lab has extensive experience with RAID Data Recovery from RAID, spanned and striped systems. 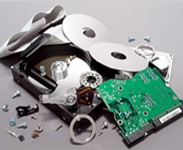 RAID Data Recovery is one of the specialties. From the simple single drive Linux desktop to the most complex Sun Fire E6900 with multiple storage arrays running mission critical Oracle Databases you can trust us to recover the data. 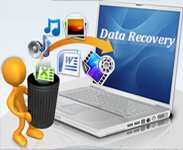 Data Recovery from devices such as iPod or other portable music device, IPAD, cell phone, mobile phone, TAB and more. Pen drive not detecting?!! Are you losing data in your USB Drive? Contact us for USB Recovery in Mumbai. Be it an application server, file server, database server, network-attached storage device, direct-attached RAID. SSD Hard Drive Data Recovery Services, including operating systems and memory, laptops, tablets etc of all makes and brands. We honestly want to give you the products / services that pay full value for your money.